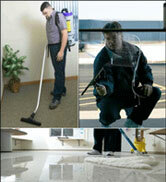 D&S Industries is a full service commercial cleaning & property maintenance company located in Central Jersey. We provide a full range of services, making us capable of being your one stop for all cleaning and maintenance related needs. With a dedicated staff that is committed to quality and customer satisfaction, no client is ever unhappy. We are proud to be one of the leading companies in our field with a wealth of experience that will benefit you. Our services are always provided in a way that meets and exceeds our customers expectations. 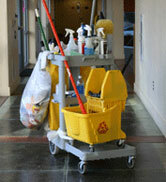 In fact, unlike other commercial cleaners & maintenance companies, our contracts are not fixed term. Our list of services is provided to the left. Feel free to browse through our website and really get a feel for who we are and what our company can do for your business. With our ever expanding list of services we can do almost anything you require. D&S Industries believes in keeping America clean one business at a time. D&S Industries knows that first impressions count and we provide you with a clean & comfortable environment to work in. We have monthly service contracts with no fixed term; this allows us to be flexible with our clients. This service is for those clients who are going to need clean-up done after a construction project. With this option available you can let us worry about the mess. D&S Industries offers comprehensive floor surface maintenance. This includes stripping and waxing, burnishing (high speed polishing), tile and grout cleaning, etc. We can make your floors look brand new, and keep them that way. Our carpet cleaning service is all inclusive. From the pre-treatment to the deodorizer we take care of everything. It's not only the inside of a business that has to look presentable; the outside is just as important. D&S Industries provides a complete power washing service used to clean the exterior of your building and walkways. Keeping windows clean and free of debris is an endeavor that we accomplish with all of our clients. 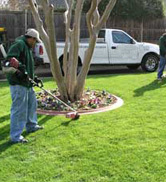 D&S Industries offers full lawn & landscape maintenance services. We strive to keep the exterior of your business looking professional and well-groomed. This means everything from making sure your landscaping stays looking fresh to taking care of the lawn. Beautiful weather doesn't stick around the whole year; this is why D&S Industries offers snow & ice management. The last thing you want is a client trudging through snow or slipping on your icy walkway. We ensure cleared and safe walkways for all of our clients.